Cost to install or replace a bathtub varies greatly by region (and even by zip code). Get free estimates from plumbers in your city. Cost to install or replace a bathtub varies greatly by region (and even by zip code). The cost of installing a bathtub is $2,500. Bathtubs are a must-have feature for many homeowners. They are great for relaxing tired muscles at the end of a long day, for bathing young children, and are available in a variety of sizes and styles to suit just about any design. Some new models also offer special features like chromatherapy, inline heaters, whirlpools, and air jets for an enhanced bathing experience. A 5 ft. acrylic bathtub from a reputed manufacturer with new surround and fixtures can be installed for around $2,500. Before choosing a bathtub, it is important to determine how much room you have in your bathroom. For example, a drop-in tub can only be installed in large bathrooms with plenty of floor space. Another important factor that will affect your final decision is your purpose for installing a bathtub. If you are planning to use your bathtub mainly for soaking/relaxing, a luxurious whirlpool tub may be what you are looking for. 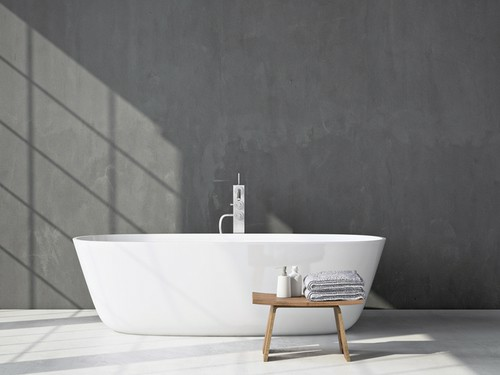 If a quick bath is your only requirement, a standard bathtub will fit your needs. If someone in your family prefers showers over baths, you may want to look for one which accommodates both purposes. 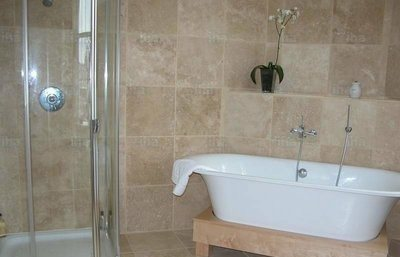 A tub surround gives a smooth and even surface to the walls around the tub. Tub surrounds are available in many materials such as acrylic, composite and fiberglass 1 and are easier to clean and maintain than standard tile and grout 2 because there are no cracks for dirt to get in. 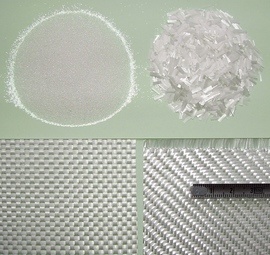 Here is a quick comparison of some of the most common materials used for tub surrounds. Bathtubs can be made of different materials such as cast iron, acrylic, fiberglass 1 or marble. Each material has its own advantages and disadvantages. 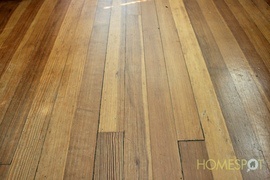 Make sure you choose the right material that suits your purpose and style requirements. Bathtubs can be fitted in different configurations, depending on the type and amount of space available. Depending on how they are used, bathtubs are generally classified into four separate categories: general purpose ($125-$600), soaking ($250-$12,500), walk-in ($1,500-$9,900) and whirlpool/airjet ($400-$13,800). General purpose bathtubs are the standard bathtubs that everyone is familiar with. They can be used for a number of things from giving your children a bath to washing the dog. Soaking tubs are deeper than general purpose tubs and allows you to immerse your entire body in the water. Freestanding clawfoot and slipper tubs are included in this category. A walk-in tub, as mentioned earlier, will have a door that allows people to walk into the tub instead of climbing over the rim. A tight seal on the door keeps the water inside once it is closed. Lastly, whirlpool and air jet tubs are intended for providing a spa-like or therapeutic experience and are great for massaging tired muscles. However, such tubs take a lot of time to fill up and consume a large volume of water. Bathtub installation requires a number of tools and materials that you may not normally find lying around the house, for example, adjustable wrench ($4-$14), pry bar ($10), screwdrivers ($20 per set), pliers ($12-$42), slip-joint pliers ($15-$50), hammer ($15-$45), rubber gloves ($12 per pair), safety glasses ($4-$15), sledgehammer ($15-$50), keyhole saw ($5-$12), shower stem socket wrench ($20). During installation, your contractor will fasten a 2x4 ledger board in the same length as the tub to the wooden studs to provide support where the edges of the tub are in contact with the walls of the enclosure. Next, the drain assembly and overflow pipe will be put together as per the manufacturer’s instructions. Finally, mortar 3 will be applied to the subfloor 4 of the tub and the tub will be secured to the wooden studs using roofing screws. Before installation, your contractor should make sure that the subfloor 4 should be level. If not, it can put undue strain on the plumbing and cause leaking after some time. 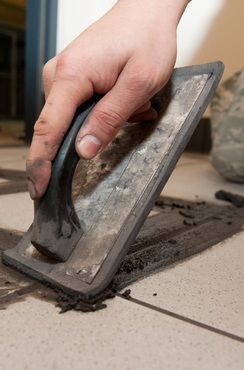 You can use a leveling compound or wood shims to even out the surface. 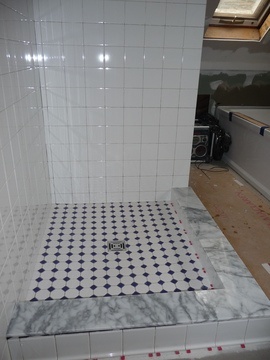 A cement backerboard can be used under the tiles in the bathtub to prevent moisture accumulation and mold growth. Depending on the nature of your project, you may choose to hire a licensed plumber ($45-$65 per hour) or a handyman ($60-$90 per hour) to install your bathtub. A new tub installation will take around 6-9 hours and will cost you between $540 and $1,620 in labor. If you have to remove an existing tub, it will add at least an additional 3-4 hours to the total time and cost you $270-$540 more. Some plumbers might charge a fixed rate ($500-$1,100) for bathtub installation, which includes tub, flange, strainer and overflow pipe installation, redoing the hot and tub piping in line with the new fixtures, drain pipe sizing, and connecting waste pipe. Any additional work might be charged at an hourly rate. If you are installing a whirlpool tub, you may also need to hire an electrician ($65-$85 per hour) to put in new wiring. If you are planning to install a large whirlpool bathtub, make sure your water heater is big enough to handle the load. Ideally, the water heater should be roughly two-third the size of the bathtub. A new water heater can set you back by as much as $600-$1,100. If your whirlpool or air jet tub requires its separate electric circuit, you may need to upgrade your complete electric panel. This can raise the installation costs by as much as $1,300-3,000. If you are renovating your bathroom and planning to replace your bathtub, look for one which is of the same size and style as the old one and can be installed in the same location. This can help you avoid extra charges by eliminating the need for demolishing walls or changing plumbing. Instead of replacing your old bathtub (which involves demolishing the old bathtub, updating all the fixtures, plumbing, adjacent flooring and surround, and installing a new one), you can choose to refinish the old one ($300-$1,000) or have it relined with a new liner ($800-$1,400). 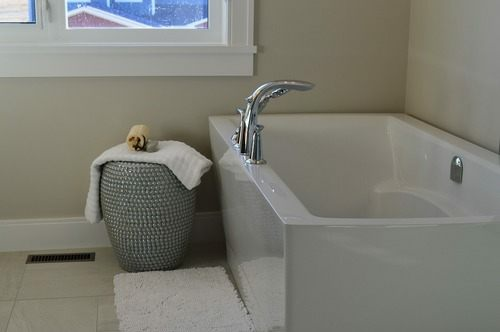 Cast iron, steel and fiberglass 1 bathtubs are good candidates for refinishing. Cast iron and steel bathtubs can also be relined, unlike fiberglass 1 and acrylic. Your water tank should be about 2/3 the size of your bathtub. For example, a 40-gallon water heater would be adequate for a small 60-gallon tub. However, if you have a large 110-gallon whirlpool tub, you need at least a 75-gallon water tank to be able to fill it with enough hot water to operate the jets. 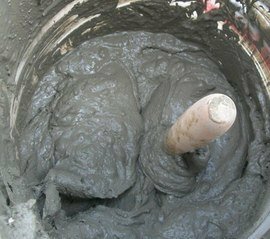 You may need to reinforce the bathroom floor if your bathtub is made of a heavy material like cast iron or if you live in an older home ($100-$300 per joist). Do not forget to take into account the weight of the water and body weight while making this decision. It is important to try the bathtub before buying it. When you go to the store, sit down or lie down in the bathtub to understand if the tub style and slope suits your body frame. Also consider the position of the fixtures. Building codes and standards for bathrooms, especially whirlpools and air jet tubs, can vary from area to area. Your local library may be a good resource for finding out more about your local codes. Most regions require a plumbing permit before undertaking any major plumbing work, for example, converting a shower to a bathtub and so on. Check with the local planning department to find out if you need a permit for your bathtub project. Since bathtub installation is a complex project requiring some plumbing, soldering and carpentry skills, it is not recommended for a DIY project. Even minor mistakes in leveling 5 or connecting the drainage pipes can cause huge disasters later. A professional plumber or handyman who can make sure the installation is compliant with the building codes is the right choice for this project. Always work with a licensed plumber. Some manufacturers may not honor the product warranty if the tub was not installed by a licensed professional. On an average, you can expect to pay around $2,500 for installing a 5 ft. acrylic bathtub with surround from a reputed manufacturer. How much does it cost to build a new bathroom? Building a new bathroom in an existing space can cost between $7,000 to $25,000, depending on area, labor rates and extent of new plumbing or drainage required. You can put in a medium to high end shower stall for $6,000, which includes the shower pan 6, stall, doors, plumbing, and labor charges. A bathtub replacement can cost anywhere between $1,200-$13,500, depending on the area, conditions and type of bathtub and materials used. How do you plumb a bathroom? Plumbing a new bathroom is a complex project that involves proper planning, site preparation, installation of sink, shower and bathtub, connecting each fixture to drainage and plumbing, and cleanup. In addition to a deep understanding of plumbing systems and techniques, you may also require some basic carpentry skills, especially if there is a need to modify framing. Always remember to use pipe sizes and types that comply with the building codes. 5 Leveling: The process of evening out the ground's surface, making it either flat or sloped. How much does it cost to install or replace a bathtub in my city? Cost to install or replace a bathtub varies greatly by region (and even by zip code). To get free estimates from local contractors, please indicate yours. The cost guide has been remade adding more information and updating the cost. The "Cost Breakdown" section has been removed because there wasn't enough information about the process and costs. The sections "Before installation", "Surround”, “Materials", "Popular bathtub configurations", "Purpose", "Installation process", and "Labor" have been added and now there is more detailed information about the different options and possibilities with their costs. For example, you can find new tables with the types of surround, bathtub materials and configurations their features and costs. Moreover, new options have been added as enhancements, that may not be included in the average project, but may interest you. The "Additional considerations" section now offers information about building codes, permits, warranty, how to save money and DIY projects. A "FAQ" section has been added, where you can find any other piece of information that may not be found in other sections. An image was added to help the user understand the project better.